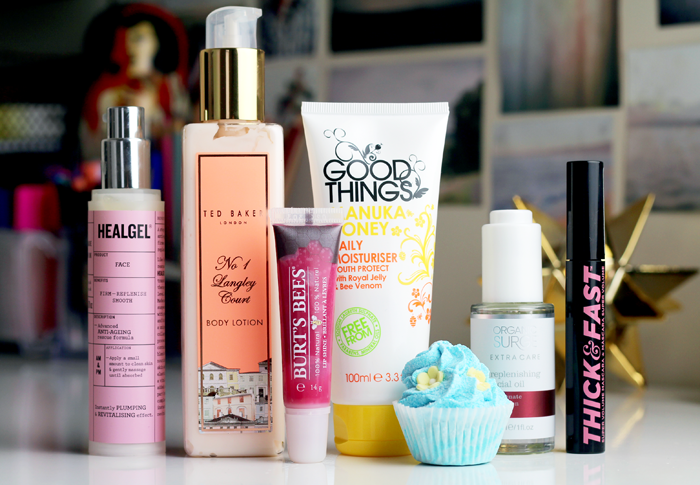 I've heard about Bomb cosmetics on a few blogs now and I'm really wanting to try them out. I'm not really a bath bomb person but I've heard that they sell candles as well so I'll have to have a nosy at their website when I get the time. I've been wanting to try the Heal Gel face, it sounds really good! The Ted Baker body lotion is so pretty!! I always love their packaging. That cupcake bath bomb is adorable!! I'd love to hear more about Bomb Cosmetics. I don't know any of these products, but they sure do look/sound wonderful! How cute is that cupcake bath bomb?! Hope your skin is getting better - reactions like that are one of the worst! 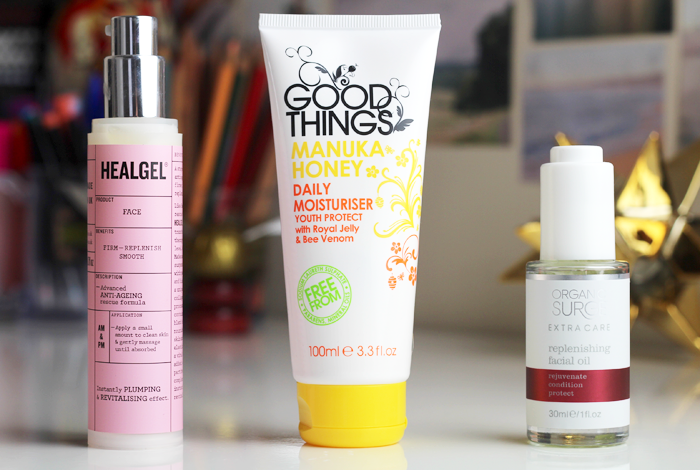 I adore HealGel Face! Sadly I ran out and I'm supposed to be saving but it's definitely something I'd re-purchase! The mascara sounds wonderful, I love S&G! I just love your blog photography! Everything is always so perfectly arranged. I hope your skin is back to normal soon. That's such a big fear I have, with all the different products people interested in skincare and makeup try, you just never know what could cause an unpleasant reaction. I like the sound of the Heal Gel and the Organic Surge face oil in particular. I like to think oils are slightly safer but I have no clue if that's true.